Home / Why Sydney Vein Clinic / What Causes Varicose Veins? 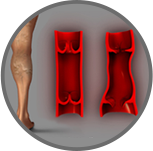 Varicose veins are abnormal, dilated or swollen blood vessels caused by a weakening in the vessel wall. You can often see the varicose veins under the skin as blue or purple veins that are bulging or twisted and are sometimes surrounded by thin spider veins (groups of narrow blood vessels located close to the surface of the skin). Varicose and spider veins can appear anywhere, but most often appear on the legs and in the pelvic area. Most varicose veins develop near the surface of the skin. Deeper varicose veins can't be seen but might cause the skin above them to swell, or become darker or hard. In general there are three types of veins in the legs (called superficial veins, deep veins or perforating veins) and varicose veins represent enlarged superficial veins. Each of these types of veins contains valves that help the body to take the blood from your legs back up to the heart against the pull of gravity. 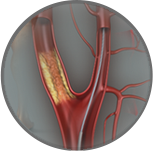 The primary disorder in varicose veins is related to a weakened vein wall that stretches over time and results in damaged valves. These abnormal valves then allow blood to flow in the wrong direction back down the leg towards the varicose veins instead of taking the blood back up to your heart. Varicose veins are very common and almost 50% of women between 40 and 50 years of age, and nearly 75% of women between 60 and 70 years of age have these surface leg veins. 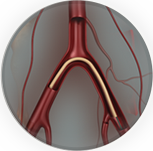 Varicose veins also occur in men but are less common than in women. Varicose veins are not just a cosmetic nuisance. Half of all patients who seek treatment do so because of pain and discomfort.